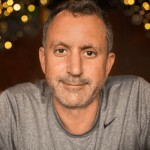 Howard Lindzon is a Canadian author, financial analyst, technical analyst and super angel investor. Lindzon manages a hedge fund, serves as managing partner of the holding company Social Leverage, limited partner at Knight’s Bridge Capital Partners, and is the co-founder of StockTwits. Lindzon was named one of The Best Tweets for Your Money in 2013 by Barron’s. He is bullish about the retail sector and how current trends are shaping the future of CPG brands.